A lovely, detailed, painting by numbers set showing a scene with fileds and poppies in the country, suitable for ages 8 - 88. In the set you will receive a printed picture, the required paints, a brush and full instructions. What a lovely way to pass the time of day, being creative, making your own work of art, which when complete, can be framed and displayed in your home. 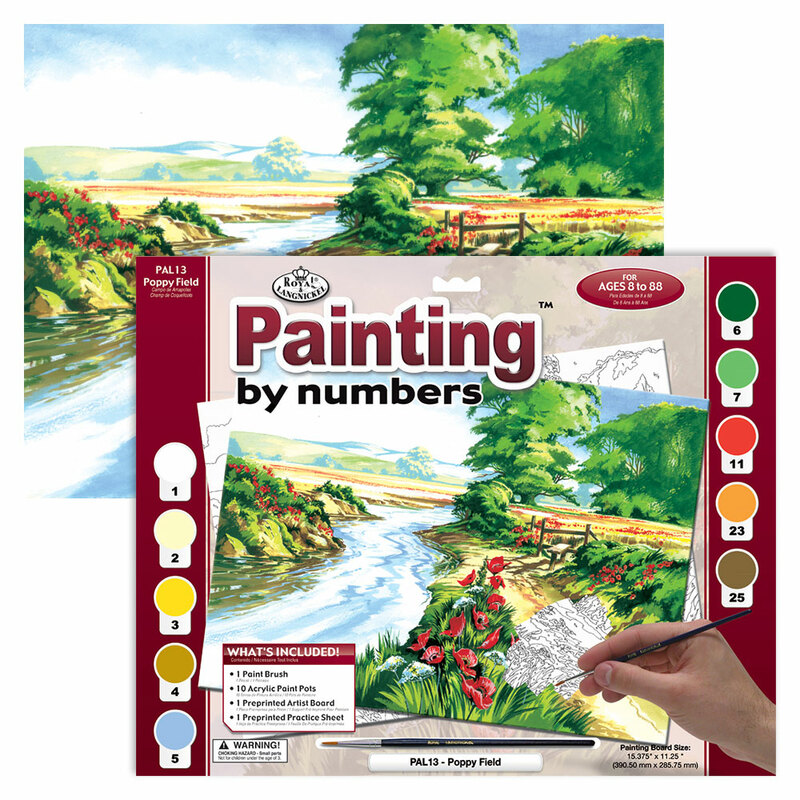 The painting by numbers sets also make great Christmas gifts for friends and family.